In this two day course, each student will build a post-and-rung stool out of sustainably harvested Oregon White Oak. On day one, students learn about splitting logs for stool pieces and shaping already-split stool parts using a shaving horse, drawknife, and spokeshave. 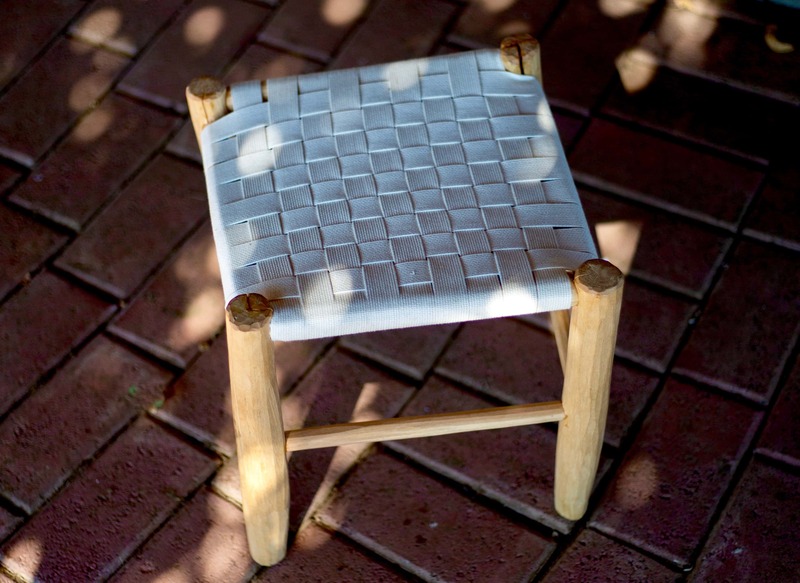 On the second day, students use mortise and tenon joinery to assemble their shaped parts into furniture, and explore different weaving patterns with naturally-dyed, traditional shaker tape, to weave a beautiful pattern for their seat. And of course, we'll sit. As any good chairmaker says, a seat is never finished until you sit on it. No previous experience in woodworking is required to take this class, and experienced woodworkers are welcome too.